Nintendo has announced the launch of a new 3DS XL bundle just in time for the holiday season .The new bundle is the 3DS XL Mario & Luigi Dream Team bundle and it includes a game of the same name and a customized 3DS XL console. The limited edition bundle has a silver console with an image of Mario and Luigi running on the front of the console. The bundle also includes a pre-installed version of Mario & Luigi: Dream Team. The console bundle will sell for $199.99. Other bundles are also available for holiday shopping. 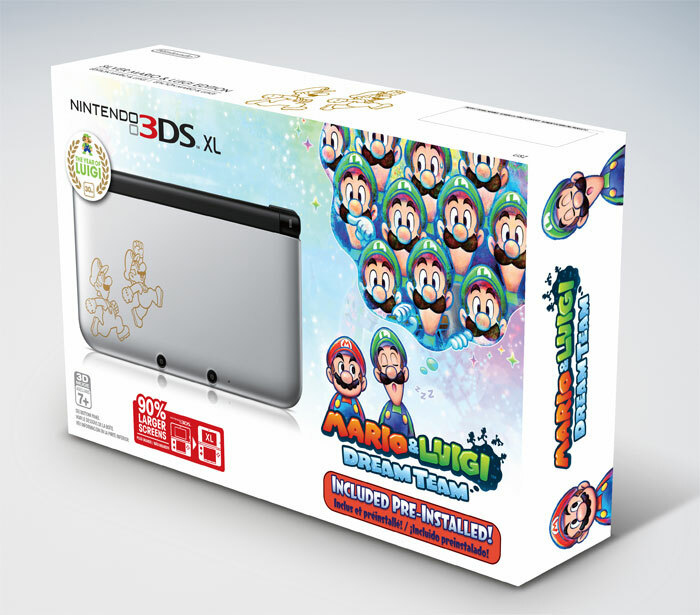 Other bundles include a 3DS that is blue and comes with Luigi’s Mansion: Dark Moon game installed for $169.99. A gold and black 3DS XL bundle is also available that comes with a download code for the Legend of Zelda: A Link Between Worlds for $219.99. The new Mario and Luigi: Dream team game is the fourth game in the Mario & Luigi RPG series. The game has the players trying to help save Pi’illo Island from a mysterious villain. The 3DS is one of the most popular portable consoles on the market today.